Welcome back to Anna’s World. Sorry, ladies, but Cougar Bait can’t stay front and center forever, I had to let him go home…you can still read about him and look at his pics in my archives. It’s time to move forward and fill you in on all the latest things going on…and believe me…there have been a lot in the past few weeks. First of all, there was some sadness in my world, as a dear friend, neighbor, and co-worker passed away suddenly. I have taken a few weeks off from my writing as I remembered her and paid my respects. I appreciate all the words of kindness from my friends as I dealt with this tragic loss. In good news, things have really taken off and I’ve been really busy promoting my work. 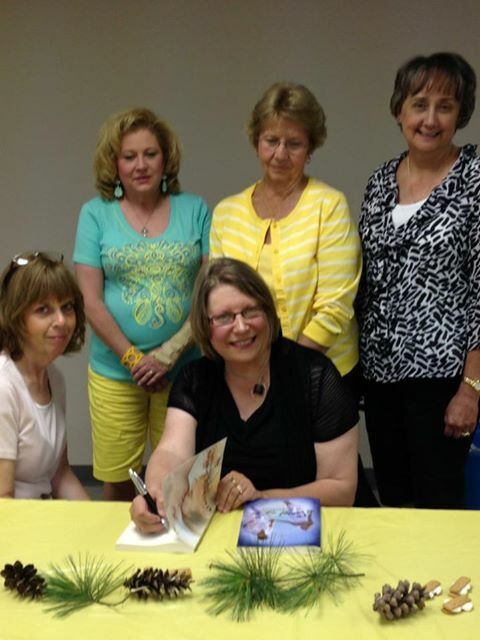 I was introduced to a lovely group of readers by my friend, author Sable Hunter. I’ve made some dear new friends and have gained some new readers. Thanks, Sable, for giving me the opportunity to meet your friends and for sharing your readers with me. A few of these new friends approached me about starting a Street Team for me. What this means is that they are helping me promote my books, sharing the news about them with other readers. We’ve had a lot of fun putting this together and are planning lots of fun things for the months to come. My team is called Anna’s Fab Friends, in honor of the Fab Five. Another good thing is the fact that I was pleasantly surprised to see the shiny Silver Star on the AllRomance site for The Road To His Soul…what a fabulous feeling to know that the readers made that happen by buying my book. I also had my first public appearance this past week. I was asked to speak at a local women’s club about my books and my writing. It was a lot of fun and I really enjoyed it. I sold and signed my paperback books afterward and hopefully this will be the first of many such events. I received the cover and blurb for my August Rebel release, Remember Our Promise. I’ll share that in a few weeks. Book #4 in the Fab Five series will be released on July 10 from LazyDay Publishing. 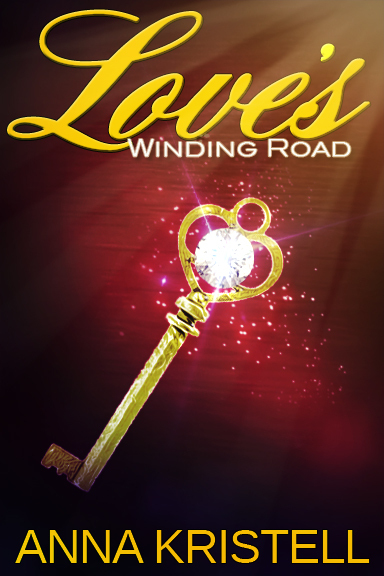 I’ll share a little of that with you today…Love’s Winding Road. The ‘Fab Five’ are back with even more drama in their lives. Marianne’s family is in turmoil, as both of her sons deal with life-altering decisions. Young Dr.Jackson Jacobi is reeling from the sudden break-up with his long time girlfriend, Alexis, and her move to Paris to pursue a career in the fashion industry. He is splitting his time between finishing his residency at a local hospital, preparing to open an orthopedic practice with another doctor, and helping his younger brother, Jordan, recover from a horrific automobile accident that left him unable to walk. Jordan’s dreams of becoming a pro-football player have been abruptly ended and Jackson tries to help him find a new direction for his future. Sworn off women after the break-up with Alexis, Jackson is pleasantly surprised to find he is attracted to his brother’s new physical therapist. Fiery redhead, Stacie Abbott, may be just what the doctor ordered for both Jackson and Jordan. As Stacie and Jackson work together to ensure that Jordan walks again, they develop a playful, friendly relationship. The couple decides to take it to the next level, and enter into a passionate affair. But Jackson soon discovers that Stacie has trust issues. She was in love once before and it had ended badly. Her college boyfriend had left her to go back to his ex. As Alexis begins to cause problems for the new lovers, Stacie wonders if history is about to repeat itself. Will Jackson be able to convince her he is not like her former lover? Or will Alexis succeed in her quest to tear them apart? Was that enough of a teaser to get you ready for it??? Or do you need a little excerpt too? Stacie Abbott twirled a strand of her long, curly red hair as she studied the chart of her newest patient. Reading about what had happened to the young boy just about broke her tender heart. “What’s wrong, Stacie?” her friend and co-worker, Ginger, asked as she walked into the office the two girls shared and sat down at her desk. “Oh, that’s the doctor’s son who was in that horrible car accident back in May, isn’t it?” Ginger asked as she glanced at the chart on Stacie’s desk. “What’s his prognosis for walking again?” Ginger asked. Stacie shook her head and went on with her reading. When she finally put the chart into her bag and prepared to leave for the day, she looked over at Ginger. “Dinner with me?” she invited. “Sure, let’s get out of here. Maybe we’ll find some cuties to buy margaritas for us,” Ginger teased. “Do you ever stop?” Stacie grinned as she herded her friend to the parking lot. “Chuy’s okay with you?” she asked as they reached their cars. “Fine, I’ll meet you there.” Ginger got into her car and started the engine. Stacie pulled into the restaurant parking lot five seconds after Ginger did. The two friends went inside and chose to sit at the bar, rather than wait for a table. As she perused the menu, Stacie looked up just in time to see the most gorgeous man she had ever seen in all of her twenty-six years. Well-groomed, well-dressed, with dark hair and perfect features, he was absolutely heart-stopping. He was seated at the bar with a friend and the two were drinking tequilas. A plate of appetizers had been placed in front of them by the bartender, and the two men were talking as they ate. When the man happened to glance her way, he smiled briefly, then went back to the conversation he was having with his pal. “Did you see that guy, Ginger?” she asked her friend breathlessly. “Which one are you talking about?” Ginger asked as she looked around the bar. “Directly across from us, the two guys drinking tequila,” Stacie replied, nodding toward them. “Him? Who? What are you talking about?” Stacie asked, in a confused whisper. “Slow down, Stace, breathe deeply. Let the pro here give you some pointers on how to approach this situation.” Ginger giggled as she looked over at the two men again. “Oh, this ought to be good.” Stacie teased her friend, rolling her eyes. “The guy with him isn’t bad, either. I wonder if he’s a doctor too.” Ginger smiled in the direction of the two men. “Quit looking at them and let’s order. I’m starved,” Stacie hissed. The girls ordered their food. As they continued with their meal and conversation, the two men stood up to leave. Dr. Jackson Jacobi stood at least six feet tall, his build a perfect match for his height, as Stacie noticed immediately. When they walked past Stacie and Ginger, the men told them to have a good evening. “Thanks, you do the same,” Stacie replied, smiling at Jackson. “They didn’t stop to get acquainted, though, so that may mean they both are taken. That would be a damn shame, wouldn’t it?” Stacie asked thoughtfully. When she had gone home to her apartment later in the evening, Stacie couldn’t help but wonder about the gorgeous brother of her patient. Finally giving in to sleep, she dreamed about Dr. Jackson Jacobi most of the night. Waking to the blast of her alarm clock, she sat up, rubbing her eyes. I’ve really got to quit thinking about that guy if I’m going to do my job. I’ve always been a professional, and I can’t let anything get in the way of that. She was due at the Jacobi house at ten. After a leisurely breakfast, she hopped into the shower and, after toweling herself dry briskly with a fluffy towel, she dressed in her scrubs. Taking extra care with her hair and makeup, Stacie was finally ready to meet her patient and whatever family members might be present for that first meeting. That’s all for now…have a happy and safe 4th of July and I’ll see you all back here after the holiday. I’ll be spending it with my family.